The hazardous pollution levels can have a huge negative impact on the entire National capital region (NCR) along with crippling several essential sectors. 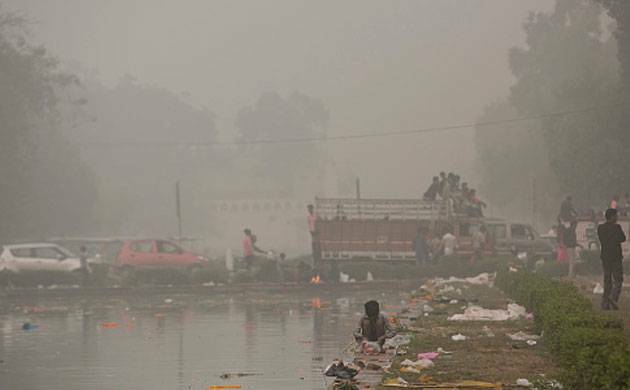 The alarming pollution levels in the aftermath of Diwali is likely to have a major impact on the complete National Capital region (NCR), paralysing sectors such as tourism, transport, automobile and real estate, as per a report. "While it may be difficult to hazard a figure of economic loss, since the exact period of dangerous levels of pollutants would depend on the weather conditions along with administrative measures, there is no doubt that several billions of dollars of fresh investment and GDP loss would occur," Assocham Secretary General D S Rawat said. Besides, it would lead to a loss of confidence among the citizens, Rawat added. The industry chamber observed that in the immediate term, the tourism season could be the worst-hit with the Delhi and NCR pollution making global headlines and creating an impression that visitors should avoid these places. A large number of foreign tourists visit the 'Golden Triangle' of Delhi-Agra-Jaipur (entire Rajasthan). It said the feedback from tour operators and hoteliers clearly points out a deep concern over the negative impact that the pollution can cause to the economy. "If urgent steps on emergency scale are not taken, the economic impact arising out of the health issues could be catastrophic for the NCR, one of the important pillars of the national economy. Besides, this is also a wake up call for other regions around Mumbai, Bengaluru, Hyderabad, Chennai and Kolkata," Rawat said. In its analyis, Assocham noted that there are already requests from global tour operators to re-align the itinerary of the international tourists to the 'Golden Triangle'. "Instead of the tourists dividing period of stay between Delhi, Agra and Rajasthan, there have been enquiries where the visitors can avoid Delhi, excepting the touch-down options at the Indira Gandhi International Airport in the national capital," the chamber pointed out. It said that along with tourism, transportation would also take a hit if investment and flow of tourists suffer a setback.Transportation is one of the key contributors to the national economy in the services sector. Both transportation and tourism are highly employment-oriented and jobs may be a casualty of the pollution, the Assocham paper noted. "Surely, the maximum impact would be felt by the Delhi economy which had the Gross State Domestic Product (GSDP) of Rs 5,58,745 crore in 2015-16 at current prices. The GSDP of Delhi has been among the fastest growing in the country, but such a growth cannot be taken for granted," it cautioned. The chamber suggested a holistic set of measures for short-term and long-term to tackle pollution in the NCR. It said pollution should be handled at the top level in neighbouring states including Haryana, UP, Punjab and Rajasthan with active intervention of the Centre.